If you are looking for an experience that makes you feel like you were reborn, try leaving a cave from within the depths of the earth; and if you prefer adrenaline running through your veins while flying on a zip line surrounded by jungle, Tekax is your ideal destination in Yucatán. Located in the southern part of the state, it has more than 200 caves of great beauty, known for the crystal formations inside, as well as trails, colonial buildings, and various legends that have made Tekax a favorite spot for young people and families, especially to enjoy cultural, adventure, and nature activities. Accompanied by Ecoguerreros Yucatan and local guide Julio Sosa, we met in the central park of Tekax, unique in its border of a 19th century French lace-style metal fence. We listened to the legend of “Pancho mecate,” the stories about the three-storey house in Tekax, and the Ermita San Diego located on an 80-meter hill that also serves as a viewpoint, and much more about this town, important during the Caste War. Tekax offers several photo-worthy settings: the imposing church and the Franciscan convent dedicated to San Juan Bautista; the monumental letters on one side of the church; the monument-time capsule with letters and documents inside; the arches of different eras and styles that adorn the infinite halls of the municipal palace; or the city view from Ermita San Diego. Lots of places to go, so keep your camera or cell phone ready to capture the moment! We visited the Aaktun Boon cave, with paintings of jaguar and deer; it’s considered intermediate level with some sections a little extreme. The 1-mile tour inside takes approximately 4 hours. We prepared ourselves with knee pads, helmet, lamp, and gloves to enter. 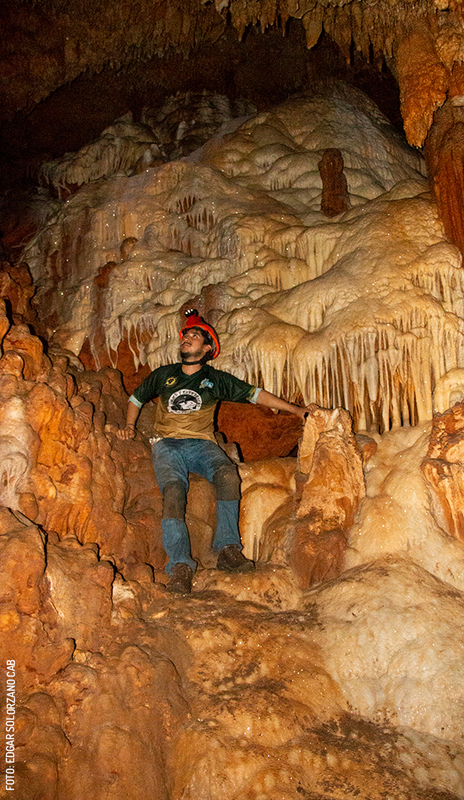 It is essential to visit the caves with a specialized guide and safety and lighting equipment. It is recommended to wear comfortable clothes and sturdy shoes, and bring a change of clothes, as well as some refreshments and water, in addition to what is provided on the tour. It is very important to follow the instructions of the guide, as well as respect the rock and crystal formations, and to not leave trash of any kind. Inside you can see cave paintings, spirals, silhouettes of hands in positive and negative form, animal figures, remains of pots, a small Maya altar, and something that totally surprised my senses: walls that with the light of the lamps resemble bright white waterfalls caused by the remains of calcium carbonate, time, and water. I felt like I was inside a science fiction film, but they are real in Yucatán, in the Maya underworld. The caves served the Maya as part of their initiation rituals; they stayed there for several days and when they came out again in the light of the earthly world they felt a rebirth. That’s how I felt: born again. 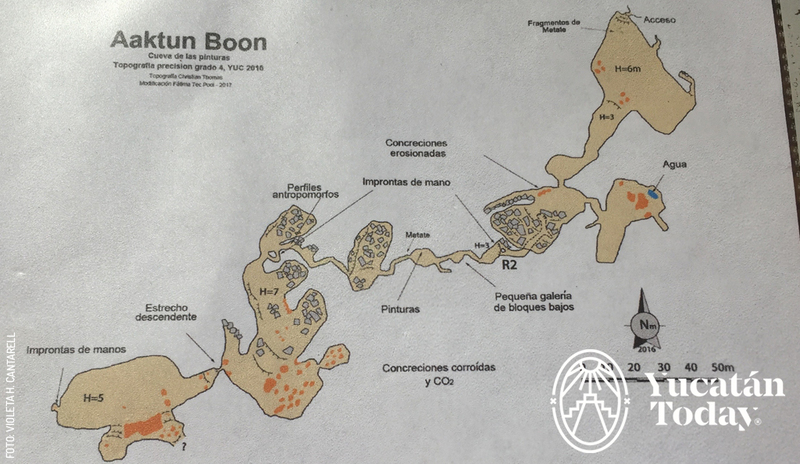 For families with children, visit the Chacmultún archaeological site and the Jowitz Maya community; or the cave of the Tzucan (snake) and listen to its fascinating legend. Those who begin with the rappel can descend 10 meters to the burials cave and see crystalline formations, remains of ceremonial burials, and “Anacleto,” a Maya skeleton. For the most extreme, try the perpetual cave, Áaktun Xma’it, with rappel of 35 meters and tunnel-type sections with stucco; the Sabak ja’ or “footprint of the jaguar” cave; and the Chocantes or “Crystals cave” with a 7-hour tour that requires more than excellent physical condition. Fly on the 150-meter-long zip line at Cooperativa Chocantes, a unique experience; or the 50 meters line at Kaalmankal Parador, where there is also climbing and a pendulum for children. Get ready for adventure – and adrenaline – in Tekax. By car, take the road to Peto for approximately 1 hour 30 minutes and take the turn-off towards Tekax at the junction of Tixméhuac, and you’ll be there in about 20 minutes. Public transportation from the side of the San Juan park (Calle 62 at 65, Centro, Mérida). Basic package: $300 pesos per person, minimum 4 people. Includes a crystal section and the zip line. Tour approx. 3 hours. Extreme package: $400 pesos per person, minimum 4 people. Includes visit to all sections of the Crystals cave. Tour approx. 7 hours.